Whether the UK ultimately leaves the EU as planned, or not, with a Withdrawal Agreement, or not, the Brexit process has dominated the country’s politics over the past three years. 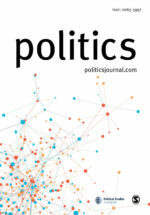 This virtual special issue brings together some of the best scholarship on the UK’s role in the EU featured in Politics over the past three decades. The articles featured broadly fall into four categories. The first group looks at citizenship, and the tension between national and European identity against a backdrop of rising intra-EU migration. Jennifer Welsh’s 1993 piece ‘A people’s Europe?’ identifies four shortcomings inherent in the Maastricht Treaty’s attempt to constitute a new category of European citizen. Welsh argues that the Treaty understands citizenship solely in terms of rights rather than in terms of duties, fails to distinguish between codifying an existing situation and creating a new one, excludes non-Europeans, and confuses nationality and citizenship. Alex Balch and Ekaterina Balabanova’s 2016 piece talks about how some of these shortcomings played out in practice, looking at UK public attitudes to Romanian and Bulgarian EU citizens moving to the UK between 2006 and 2013. Balch and Balabanova find an almost total absence of pro-immigration arguments in the UK public sphere. Instead, they find, public discussion of EU migration during this period mainly focused on communitarian opposition driven by ‘welfare chauvinism’ and rising fears about national security. The second group looks at a wider set of perspectives on what the European Union is, or what it should be. Mary Kaldor’s 2000 reflection on ‘Europe at the millennium’ talks about the relationship between security and politics, and the question of whether the EU would be able to sustain a sense of security for its citizens in a post-territory era. This piece raises makes for fascinating reading nearly twenty years on, given what we now know about how the EU has developed – and how the UK has come to be on the verge of leaving it. Shivdeep Singh Grewal’s 2001 analysis of the ‘paradox of integration’ – that the more the EU did to promote good democratic governance, the more it threatened the democratic independence of its members. The article employs a Habermasian framework talking about how these twin pressures could possibly be managed, and even harmonised. It’s worth reading with one eye on how the EU has, arguably, failed to follow the path the article suggests. 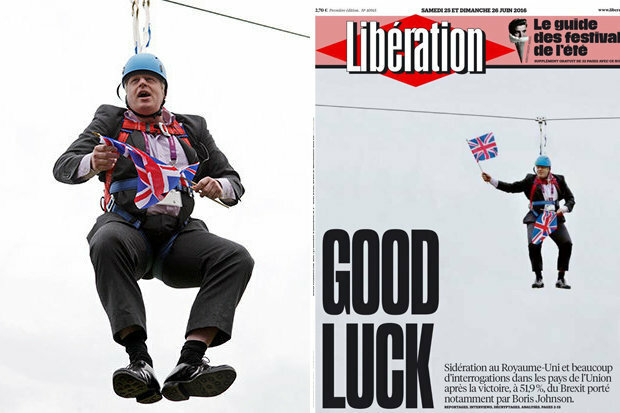 The third group of articles reflects on the UK’s status as an ‘awkward partner’ to other European states. All of the pieces in this group date from the mid-1990s, as the UK attempted to recover from arguments over the Maastricht treaty – something it arguably never managed to do. Jim Buller and Stephen George exchange arguments over the claim that George and others made at the time that the UK could be conceived as an ‘awkward partner’ within Europe. Buller attempts to challenge the idea that there is something inherently awkward about the UK that leaves it struggling to find its place in Europe, while George urges a distinction between domestic institutions and domestic politics. Stuart Wilks then follows up a year later by arguing for greater attention to the structure and nature of the state as a constraining force shaping how domestic political actors act. Sean McGlynn’s piece, also from 1996, offers a somewhat different take by comparing the Major government’s travails over Europe to the challenges faced by mid-13thCentury English Kings. McGlynn suggests that nationalism plays a deeper and more timeless role in shaping interactions between the English in particular and Europe more generally than contemporary students of politics often allow – an argument that looks prescient in light of what happened twenty years after he wrote. A final group of papers considers the relationship between UK party politics and EU membership. Richard Hayton’s 2010 analysis of UKIP’s breakthrough into second place in the 2009 European elections, asking whether it marked the party’s entry into the UK political mainstream. Hayton points to the risk that UKIP will influence the agenda of the Conservative Party, and suggests greater academic attention be paid to its policies and development. Again, a prescient analysis, also worth reading in light of UKIP’s post-Brexit travails. Tim Bale’s contribution to the 2018 Politics special issue on populism updates the UKIP picture, focusing on the party’s ‘symbiotic relationship’ with the Conservatives. Bale argues that UKIP ‘is not so much a populist party that became Eurosceptic as a Eurosceptic party that became populist’, then shows how actually the Conservatives embraced both themes first, only to (attempt to) abandon them under David Cameron just as UKIP elected Nigel Farage as leader. We don’t yet know what the future of Brexit will bring. But hopefully readers will find these articles useful as guides to how academic thinking – as it has played out in the pages of Politics– has developed over time. James Strong is Editor-in-Chief of Politics, and Lecturer in British Politics at Queen Mary University of London. He holds a BA in Modern History from Oxford, and an MRes in Political Science, PGCE in Higher Education and PhD in International Relations from LSE. His research encompasses foreign policy analysis, UK foreign policy, the UK parliament and the UK's political constitution.